Food and drinks free photography eBook(PDF). 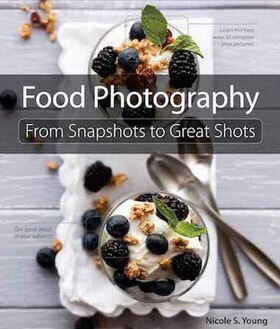 All free eBooks to learn how to shoot the food in photography. Stop to snap your plate or your frying pan! Here you can download or read online some ebooks about food photography and get a lot better pictures as the result of reading those free PDF books. Not only food, but drinks are also included in these free books, which-either in a bottle or in the glass, you will learn how to master drink photography. Learn how to arrange a plate of food or a pan dripping chocolate on a dessert before taking a picture of a food or pastries, master the light on the food's plate with those free PDF documents and become a chief of food photography. From Nicole S. Young, this PDF ibook is a quite big ebook of 290 pages and a PDF file. This food photography ibook is truly exceptional, with a lot of images and photos to describe each step of the final photo. A lot of commented images and photos to show you and pinpoint things that you should do or not, some nice tips by the example. This ebook is full of comprehensive tips and tricks about the food photography art. Written by Linda Bellingham and Jean Ann Bybee with Brad G. Rogers, you will learn how to prepare all kind of food for photography... in deep. How to take stunning food photos. 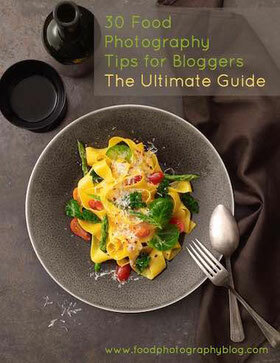 With this ebook, from learnfoodphotography.com, you will learn the Basics of Taking Better Food Photos and you will understand the process of photographing food. 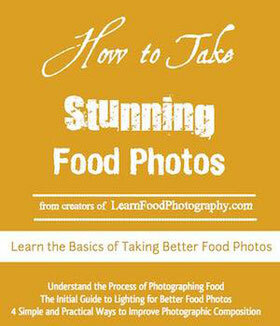 Include in this book: The initial guide to lighting for better food photos and 4 simple and practical ways to improve photographic composition. How to take Stunning Food photos eBook. This PDF ebook is mainly aimed at beginners who want to learn food photography in a very easy way. 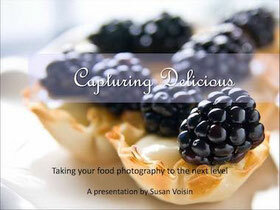 Capturing Delicious ebook from Susan Voisin, will show you how to set up your little personal studio in the kitchen without being overwhelmed by tools you don't want or need as a beginner photographer. This PDF ebook from Christina Peters is also mainly aimed at beginners. 30 food photography tips is in PDF format, easy to read with many images and photos. This 30+ pages eBook, focus on camera tips, shooting tips, the props you need or not, the food itself and the post production with an image editor. 30 Food Photography Tips eBook. 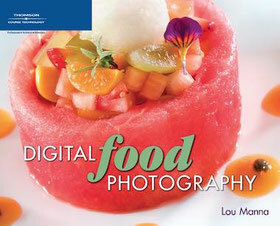 This PDF ebook, from Lou Manna, is quite a big book with its 250+ pages in PDF format, and was written in 2005, if some hardware and priced materials described in this ebook are not anymore used nowadays, the tips and the "how to photograph food", are totally spot on. 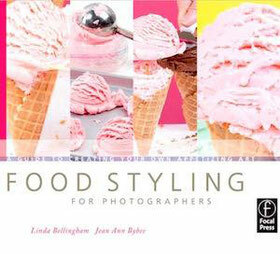 "30 Food Photography Tips" If you really want to understand the fundamentals of food photography, I recommend this book! @Arnold, You are right, the link was not working anymore (it seems the full website is not working anymore so this link: http://lib.dtc.ac.th/ebook/Kitchen/Food%20Photography%20From%20Snapshots%20to%20Great%20Shots.pdf ) was not working. I updated the link with 2 parts (one on the button and one on the image) but those are only "big" sample of the book.